NAMM 2019 News: Eventide Rose Bit Bucket Brigade Delay Pedal! HomeNewsHardwareEffectsEventide Announced Rose – A New Bucket Brigade Delay Pedal With Analog & Digital Technology! It has been a long time since Eventide introduced a new effect pedal. In recent years, there have been many add-ons that have been released for the H9 series. 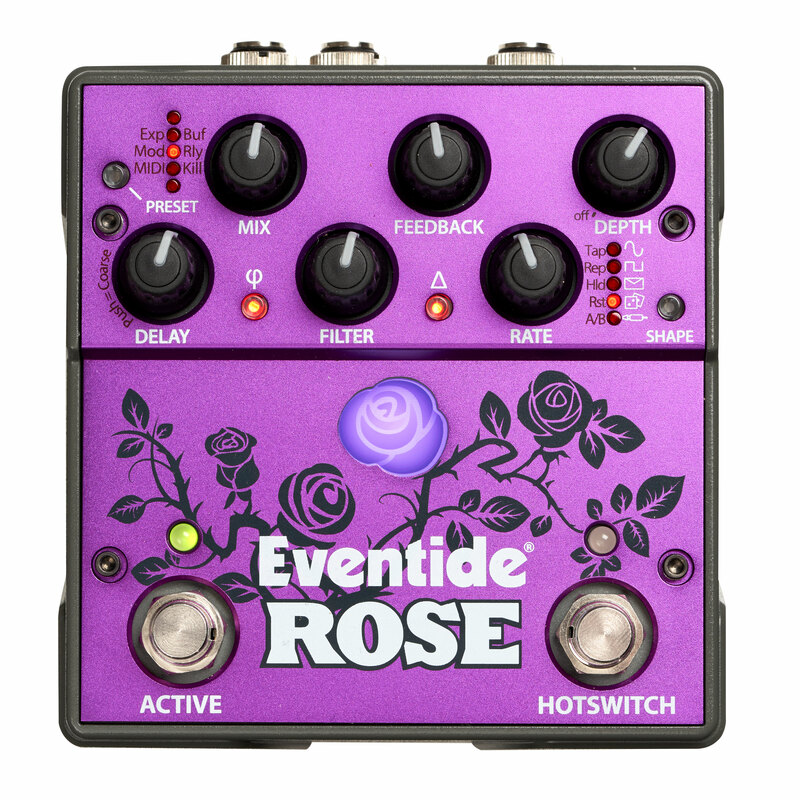 For the NAMM 2019 Eventide introduced Rose, a new versatile bucket brigade delay pedal. Clever is here: it comes with a slider on the back side where you can switch from guitar to line level. 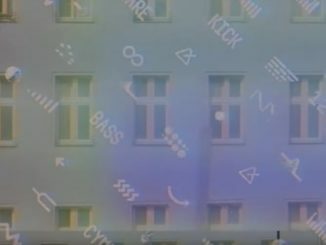 So it can also be used with other instruments like Synthesizer. Rose features invert phase and reverse delays, a delay multipler, an analog lowpass filter and different modulation sources. 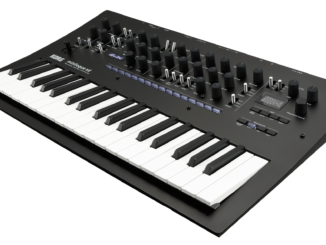 It comes also with MIDI control, assignable aux switch/expression pedal input as well as 5 presets for saving own sounds. Eventide promises a very own and special delay sound. There are currently no audio demos, so we can be curious how it sounds. An unexplored garden of innovations for musicians will soon be available from Eventide’s newest creation – The Rose: a cascading bouquet of sounds in a sleek, stripped-down, small footprint effects pedal. The Rose project began several years ago and was rooted in the desire to invent a new line of unique effects by carefully grafting digital delay into an analog platform. Our mission was to cultivate a modulated delay that would feel not only “as analog as possible” but also be exquisite and precise. We trusted that this research would yield a genesis of products that sound and behave differently than modern DSP-based effects. Rose is the culmination of this vanguard research. 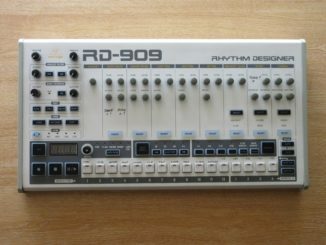 Behringer RD-909 Analog Drum Machine (TR-909 Clone) Will Cost $299!